← Happy St David’s Day! New to handbags-at-dawn! The urban street brand BENGA RABBIT, from Tel-Aviv Israel, prides itself on it’s unique street style bags. Original graphic designs which are printed with a special technique on fabric are then stitched onto the front of each bag, creating a unique and edgy look. The bags are made of artificial leathers, which when combined unique graphics provides a chance to own a stunning piece of street style at an amazing purse friendly price – £34.00. 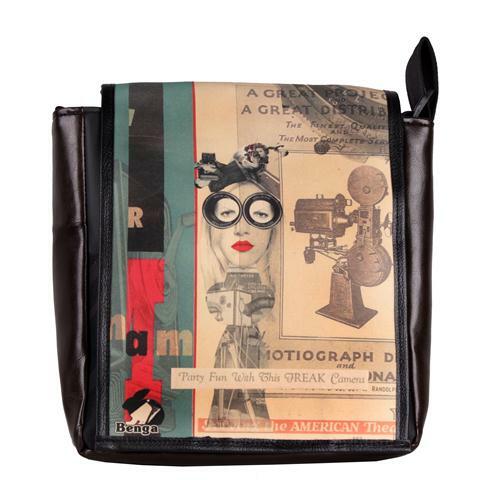 A perfect mid-sized bag, the adjustable strap allows for a cross body or over shoulder look. Made of High-quality Water-Resistant Artificial Leather. Durable PP strap, 2 front pockets, 1 full-size zippered internal back pocket, 1 full-size open compartment and an internal mobile-phone pocket.